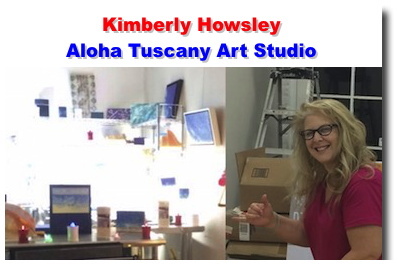 Hawaii born, Kimberly Howsley is an artist with roots in both Hawaii and Italy. Evidence of growing up on Oahu is prevalent in her work and her living, studying, and teaching in Tuscany for twenty years has greatly influenced her style, themes, and choices of art mediums. 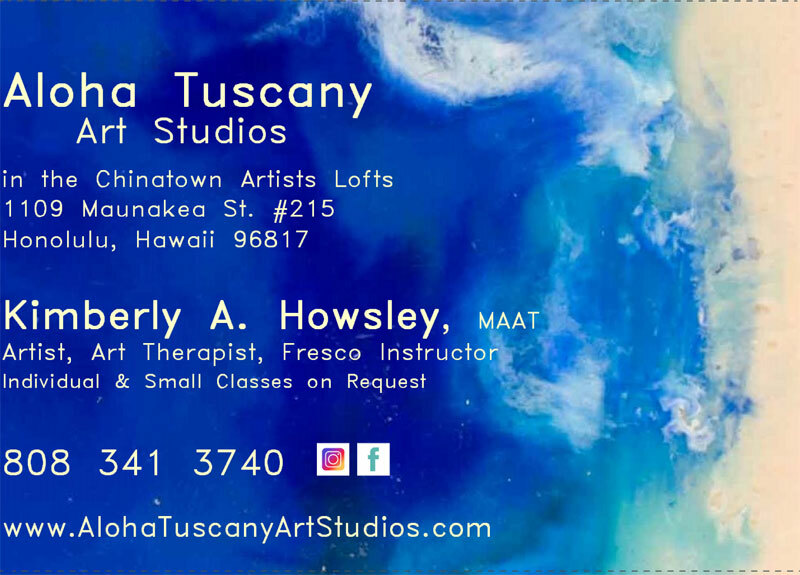 She is the only certified fresco painter in Hawaii, has a master's degree in art therapy, and most recently works primarily with Watercolor and Encaustic. Her work is tied together by beach and ocean inspired themes. Come take a look at her studio & salon gallery in the Chinatown Artists Lofts every first Friday of the month or by appointment. Kimberly also offers art therapy sessions and teaches encaustic painting to interested students on a one to one basis.